Well folks, it is that time of year again...time for Valentine's Day! What better way to start my Valentine's Day Gift Guide Event than to talk about chocolate?!?! When I think of this special day, my mind always wanders to chocolate. Truffles, milk chocolate, caramels...yum. There is just nothing like a fresh box of chocolates to get your mouth watering and your taste buds tantalized. With so many choices and so many brands from which to choose, it can be hard to decided what your Valentine would like the most. I prefer truffles but my hubby loves dark chocolate. But what do you do if your special someone loves organic chocolate? That can be harder to find and much more pricey too. Well, today I am going to introduce you to a totally new and yummy company that will solve your biggest problem at Valentine's Day...what to get that picky person. 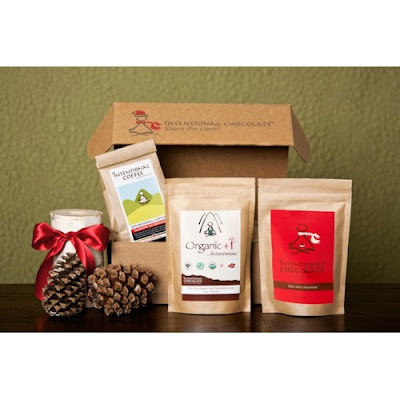 Intentional Chocolate is a company that makes specialized hot chocolate, coffee, and of course, chocolate. The special thing about this particular company is that they carry organic dark and milk chocolate...which I love. Intentional Chocolate originates from a tradition of exemplary chocolate products. Its parent company, Hawaiian Vintage Chocolate, was the first and only grower of cacao in the United States at the time of its inception in 1992 and was reported on in The New York Times as “the best chocolate in the world.” “We took the world’s finest chocolate, Hawaiian Vintage Chocolate, added a concentrated form of positive intentions, and created Intentional Chocolate™, an edible, sensual experience of well-being,” states Ashley Walsh, Director of Operations for Intentional Chocolate. I had never heard of Hawaiian Vintage Chocolate before and was very curious to see what this particular chocolate tasted like. You can imagine my excitement when I found out I was going to get to review Intentional Chocolate...yay!!!!!!! So, for this review and my very first Valentine's Day Gift Guide Event post, I was sent a gift box of items from Intentional Chocolate to try and share with you all! I think that the labeling on these bags is adorable...I love the little stick figure!! This was actually the first product that I tried and when I tasted these chocolate discs, my first thought was "Wow! My husband will L*O*V*E these!!!" My daughter and son also split one and they too, were asking for more. Don't they look YUMMY? This is 72% fine organic dark chocolate..formed into small pistoles. They also claim that there is "intention" infused into the chocolate. Because I am a Christian, I don't acknowledge and promote this type of belief but that is what they say when it comes to Intentional Chocolates and this is what they consider to be special about their company. When my daughter found out that they sent us hot chocolate, she wanted some for breakfast. I was really surprised by how this hot chocolate looks. It isn't powder, it's bits of dark chocolate. All I did was boil water, put in some chocolate bits and stir it up. I of course added marshmallows and that was the icing on the cake for Hannah. She LOVED it. And may I add, it was some of the BEST hot chocolate I have ever had. The coffee was AMAZING. It smelled so fresh and was in bean form. The taste was wonderful...not too bold, just right. Really, this coffee was fresh and ready to go. All you have to do is grind it up and make your pot of coffee! This particular gift box from Intentional Chocolate retails for $45.00 and you get all the items that I have reviewed today. So, in my opinion...Intentional Chocolate has some of the best chocolate products that I have tasted in a LONG time. I was impressed by the quality, quantity and value of the products and was sooo pleased to be able to surprise my Valentine with dark chocolate after a long hard day at work. I can assure you that this chocolate won't disappoint and that you should check out Intentional Chocolate this Valentine's Day! Intentional Chocolate has offered to give away one of these gift boxes to one of my readers! How fun!!! You should receive this prize in time for Valentine's Day but I cannot nor will not guarantee that. Also, this is my very first Rafflecopter giveaway and you all will have to let me know what you think. If you have any issues, email me ASAP so I can correct them. Here are your entry options! Disclaimer: I received no monetary compensation for this post. I did receive a Intentional Chocolate Gift Box for review purposes. All quotes and stock photos are from the Intentional Chocolate website and email. Prize is being mailed by the sponsor. All thoughts and opinions are 100% mine. I would love to try the Milk Intentional Chocolate Pistoles in either of the sizes. The Moonstone International Bracelet is a product of theirs I would like to try! I would like to try the Intentional Hot Milk Chocolate - 14 oz. I also like milk chocolate, so I'd like to try the Milk Intentional Chocolate Pistoles. I would like to get Intentional Chocolate's Celebrate the Wonder of Kids gift box. I would like to try the dark hot chocolate. I want to try the Dark Intentional Chocolate Pistoles. The Intentional Hot Dark Chocolate looks like the most amazing thing that could ever exist. I have to try it! Would love to try the Milk Intentional Chocolate Pistoles. I would like to try the Dark Intentional Chocolate Pistoles. Would love to try the Hot Chocolate! Medium Blend coffee sounds quite good. I would love to try the Dark Intentional Chocolate Pistoles any size! Yummy! I would love to try the Milk Intentional Chocolate Pistoles. Intentional Hot Milk Chocolate sounds good. I would love to try the Intentional Hot Milk Chocolate. I would love to try their coffee and the Intentional Dark Chocolate Pistoles. :-) Thank you. I like the 18" Amethyst Intentional Necklace - 14k Gold Heart Filigree Clasp. Thanks. the coffee, and the "Peace" Women's Organic Cotton T-shirt. I'd like to try the Celebrate the Wonder of Kids Gift Box. I'd like to try the Milk Intentional Chocolate Pistoles. I'd like it all, but I guess the Milk Intentional Chocolate Snowmen. I'd love to try the Dark Intentional Chocolate Pistoles. Sounds yum. I would like to try their Milk Intentional Chocolate Pistoles 14 oz or any size would be delicious. I would love to try the Dark Intentional Chocolate Pistoles. Thank you! Thank you! 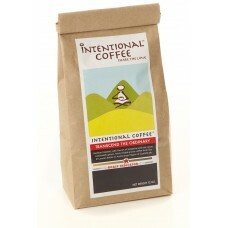 Looking forward to trying out Intentional Chcolate. By the way, the rafflecopter was fantastic. Hope it went ok on your end.